This picture was too fun not to share. This is our weekly home school book group. The weather today was so nice, I couldn’t make them go inside. Currently the boys are reading Leven Thumps by Obert Skye, Torn by Margaret Peterson Haddix, and the Inheritance cycle by Christopher Paolini. 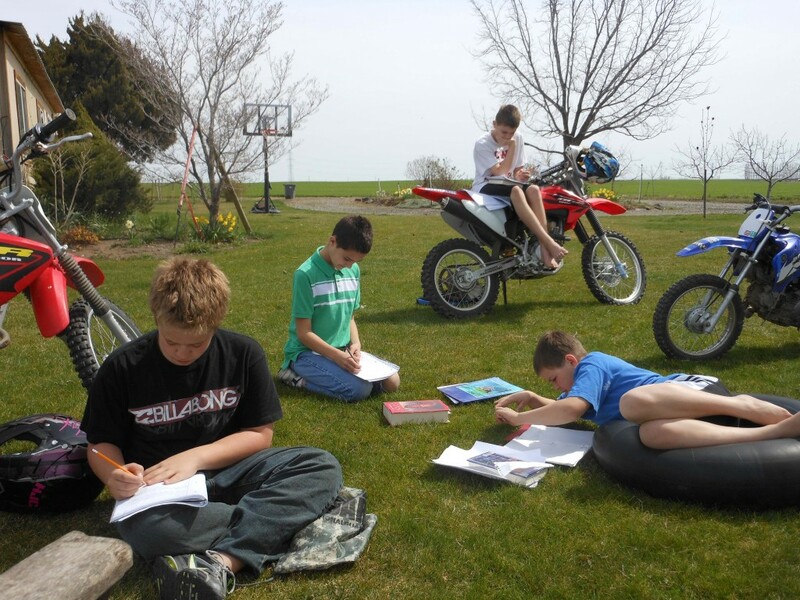 With a classroom like this, who wouldn’t love home school?